A lot of times when you see the browning of your yard, it is because you might have caught some mold and it is making your lawn look unattractive. I’m sure if you haven’t had it to you probably know somebody who has had a brown fungus yard. Sometimes your yard might have ended the season looking good but that next season you are wondering what happened to my beautiful lawn? No need to panic. Because you can wake up your browning yard. The only thing you have to be ready for is a little bit of work. But I’m sure it’s worth it if you cherish your lawn. Below I am going to give you something that will help you followed by a video to make it easy to see that all hope is not lost. What you want to do is remove all the dead grass out of your lawn. You take an iron rake and pull it up from around the good grass. Once you pulled all of it out, you want to add some starter fertilizer to the lawn. When you buy your fertilizer you want to get one with a large amount of phosphorous. What that will do is give your seeds help in producing good root growth. Note: When getting your fertilizer it would be wise to consult with your local Home & Garden store to assist you in which type you should purchase. Spread your fertilizer out over the lawn. You want to be careful not to over-fertilize because it will burn the grass. Using a spreader is the best way. Once this is done, you can add some grass seed to the lawn. Now you have to determine what blend is best depending on where you are and the area you are planting in. Don,t be shy while spreading it. Germination of the seeds is important so that you will have good grass coverage. Now it is time to spread the seeds around through the lawn. You can do this by using the back of a rake. Mix it in really well into the soil. To help protect your seeds we will add some compost on top of it about a 1/4 inch of coverage. This will help keep it from washing away in rainfall if you should have some and at the same time help the seeds to stay moist. The other way it protects it is from the sun. If it is exposed to the sun, your seeds will dry out and will be a major reason why it doesn’t germinate. Next, we water it lightly. Too much water can make the seeds run with the water and we don’t want that to happen. All you are trying to do is keep it moist as much as you can with about a 1/4 inch of water. Just treat your newly planted lawn watered regularly and in just a little time you will have a nice looking healthy lawn. When getting your fertilizer it would be wise to consult with your local Home & Garden store to assist you in which type you should purchase. I hope this post gave you some valuable information especially if you are experiencing this problem with your lawn. There is no need to panic. Thanks, Ryan. I love it when a post reaches out and give someone some ideas on how to solve a problem they feel there is no hope for. Keep in mind that some of the areas are probably shaded so when you plant seeds you have to get the blend made for shaded areas. Thank you for visiting and feel free to sign up for the latest lawn care news and be the first one to view it. Maybe it will have some other things that you just haven’t heard of doing. Good luck on your lawn this season. I enjoyed your website. I didn’t know what would cause areas of your lawn to turn brown. The tips you shared are easy steps to follow. My husband always removes the cut grass after mowing it. He’s always keeping up with caring for the lawn. I love watching This Old House when I get the chance. The visual training tips are so much more easy to follow because you see it in action. Isn’t that the truth Rosa. I always try to add a visual with my post on lawn care because if you just write it out it can sometimes get confusing. Plus when you see the visual you have more confidence in what you are going to be doing. My goal is to help everyone who is having some issues with their lawn find the solution before they panic. Sounds like your husband is proud of his work and he should be. The lawn can become a masterpiece. Thank you for visiting and feel free to sign up and be the first to get my latest lawn care news. It might be one you might need at that time it comes. Very Informative! Glad I landed to your website. Thank you. I hope it helped you out for this season. I hate brown spots on my lawn. I love a healthy green grass. The tips here are great and go into a lot of precise detail as to how to remedy this situation. Ok, it’s work, but everything worth looking good is worth it! I was never a “gardener” when I lived in New York. Now that I am retired living in Florida, I take pride in the way my lawn looks because it enhances the appearance of my home greatly. The advice on asking the salesperson in the store about the fertilizer makes sense. On my way outside to get to work! Thanks! Thank you for stopping in Rob. The reason I suggest asking advice because everywhere is different. And I see you feel proud of your property and so should everyone else. We made an investment in it so now it is time to keep it looking as good as it did when it caught your attention to buy it. Bood luck this season keeping it nice and healthy. Informative article! I live in the great state of Oklahoma also and have a yard that is roughly 3 acres. Do you have grass suggestions for both sun and shade that is drought tolerant and not bermuda? My husband likes it and I DON’T! too invasive with my gardens. Good question Tammy. It is always wise to know what you are putting down. If you are talking about planting I always recommend getting with store sales people to assist you. 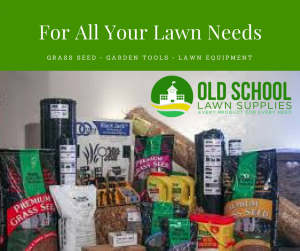 They usually are pretty knowledgeable about what’s good for you because they deal with people with problems with their lawns and know what products are working in the location you are in. Scots and Eco-Lawn both have seed for both situations. But if you are talking about caring for it stick to the basics. Never cut off more than a third of its blade and keep it watered properly staying at about an inch to an inch and a half. I hope that answered you question. Thank you for visiting and you can ask me any question you like when you like. We have struggled with brown patchy grass for quite some time. It is unsightly and frustrating. It seems no matter how much we spray it down, put sprinklers on, etc, it never get any better.. and now, here I am reading learning that putting too much fertilizer could burn my grass! Wow, that’s probably been my problem all along. That, and needing to get on a better fertilizer (and learning a better technique lol). Thank you so much for sharing this information. That makes my day Jen. Because this means that the lawn care news is doing exactly what I hoped it would. And that is to help some people who may be having problems or someone who is wanting to try something that I might post. I encourage everyone to sign up for the lawn care news because you might just get some information that fits what your lawn care needs are at that time. And you are right. You might have burned it. Let me know what happens because I am sure you are going to rake out the dead and apply some new. I wish you a healthy lawn this season. I guess I have to come to the realization that it is just about time to start taking care of the lawn again here in a few more weeks. Thanks for the step by step instructions, I found them very helpful! I had to smile a little when you mentioned about using too much fertalizer since last spring my spreader broke as I was applying it and ended up with about a 3 wide circle of dead grass right in the middle of the yard. I can say from experience that that grass will not grow back the whole season either lol. Man, I am sorry to hear that. That is why I do these post so people can be aware of how to do things and what not to do. I appreciate you sharing that information for the next reader. I’m sure you are going to seed the area again. It will work out fine. Thanks for visiting and you are welcome to sign up for the lawn service news to grab these post first hand. I think my family could really use some of these tips. We own a huge front lawn over a hill and it always turns yellow during the summer. In the spring, it would grow unevenly cause of all the crab grass and weeds. Fertilizer is a must for a healthy lawn. I never thought of planting new grass seeds but it sounds like a good idea if the dried grass doesn’t grow back. The first thing you want to do is get that dead grass out of there. If your front lawn is really huge you don’t want to attempt to rake it out by hand. You want to get some sort of equipment used to dethatch a yard to make you work less grueling. Then you want to plant more seed and put compost over it. Water it correctly and that should help you guys out. I hope you can get your lawn in healthy shape this year. I would love to know if you were able to revive it. Thank you for visiting and you are welcome to sign up for the Lawn Care News on this site in case I happen to post something else that could help you. Hello and thanks for sharing, i really enjoyed watching the video. I myself am into landscaping and gardening, in fact I have a website that talks about some of this good stuff. I learn a lot from watching your video. I am sure that your viewers will enjoy your website also, this is really awesome. Everything is well detailed and filled with good information, very easy to follow. Thanks, Norman. I really hope so. I just like to provide people with information to know what is going on with their lawn of flowerbeds and even gardens. If you take good care of them they reward you with an awesome display of beauty. Sometimes people get worried when things like a browning yard happens. My point here was to let them know it is not as bad as they think it is. Glad you stopped in. My lawn has been a source of fascination for years. Maui cattlemen as well as all the island’s many gardening fanatics have imported an incredible number of grasses to the island. I’ve watched as several different types battle each other and creep across the yard in a slow-motion war. It’s a good thing I’m not into a golf-course quality yard, I am thinking. Wow, that has got to be a thing to see. Well the strong will survive. I don’t know what the climate is there but the one that has adapted to the climate the best will stand the strongest. I wonder if it all is for the climate of your region or not? I would like to here more about this one. Very interesting to me as well. Living in the tropics (even as far to the north as Hawaii is) means that we don’t get a resting season. Plants just grow and grow and grow. The climate in Makawao, where I live is on the wet side but there is a lot of sun as well. It truly is cattle country. Kikuya grass is the most prevalent of the pasture grasses and makes a nice thick lawn. It’s a grass from Africa that beats up the “nice” bermuda and other lawn grasses. Then there’s centipede grass which is a heavy-duty in-fighter that spreads and can get very thick. One kind of grass we call “goofy grass” can climb all over shrubs and trees. Cattle really like it. Molasses grass makes great waves of meadows with lovely purple heads. There are lots and lots of different kinds of ornamental grasses. Some of them are positively invasive. A whole series of tall grasses were also imported. Cane grass makes thick deep root-stands that have to be dug out if it gets away from you. (It’s even itchier than molasses grass, and the edges can cut you. Apparently it is also really good fodder for pigs and goats.) It goes on and on…. Wow, Netta really thanks for sharing that. We don’t have anything like that where I am. I learned something from you today. I’m sure some other readers will enjoy this information. I would love to visit to see some of these grasses. Now you gonna make me research your area out of curiosity. Once again thank you for sharing and also for taking the time to visit. I did enjoy reading this well researched and informative article on keeping your lawns in top condition. Unfortunately over here in Perth, Western Australia the climate is very harsh and scheme water an expensive luxury to use on lawns . The best looking lawns here are those where the owners have installed a bore and are using bore water during the very hot Summer months. Others like myself have to use the scheme water very sparingly over designated days each week during that period. Wow. That is too bad. You would think that there would be some drought-resistant grass blend for that environment that would be available to kind of help out a little. Maybe I need to dig a little deep on this one. It would make a great post indeed. I’m really glad you shared that. Thanks for visiting. I went in and did a little digging James. It seems like the type of drought-resistant grass in your region would be as the top 3 (Couch grass, Zoysia & Buffalo). If you don’t have this types on your lawn, maybe it can be a solution since you have to use the water sparingly. Just thought I would share that with you.